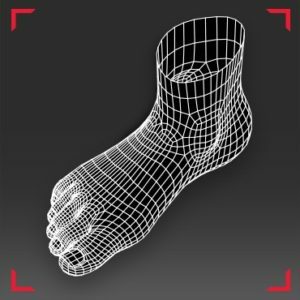 3D scanned orthotics are a device that helps in the correction of poor foot biomechanics and foot structure to assist in reducing pain, improving ones performance and overall quality of life. 3D scanned orthotics are custom made devices in which images are taken of your entire foot ensuring that every angle and contour of your foot is captured. A digital foot scan is created to assist in the development of your custom device, which will fit perfectly to your own foot type. Since a digital foot scan is produced the need for moulding is removed to allow for a simple and easy process in developing your child’s orthotics.